Last month I ranted in this space about the perils of depending on free. 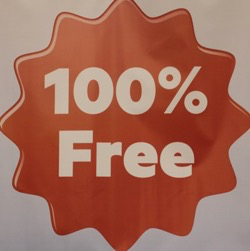 Free software, free web services with no obvious means of support that could disappear or change in an instant. More than a few friends and colleagues were quick to point out that paying for the tools you depend on didn’t necessarily guarantee they would always be available, or that they wouldn’t be altered in some negative way. Very true. And the past few weeks have delivered two warning signs to support their caution. In the first case, about a month ago Yahoo was sold to Verizon. Now Yahoo (I can’t bring myself to include the !) has been largely irrelevant to many of us for most of a decade. At the end of the previous century they were the center of the web and pretty much everyone used their directory. But now I really don’t care what the new owners do with almost all the pieces. Except for Flickr, the classic photo sharing site. I’ve been posting my pictures on Flickr since 2005 (a few months before Yahoo bought it from the founders) and a paid Pro member for much of that time. For most of it’s life, Flickr had an active community of interesting photographers, most of whom were committed to sharing their images. I first learned about Creative Commons from people on Flickr. Having a Pro account offered several useful features, including greater upload allowances and, later, no advertising. Today there’s a different set of Pro tools that make paying $25 a year still a good value. But, although paying for Pro also offers the illusion of stability, I doubt there were enough of us to make a profit for Yahoo. It’s too soon to know what Verizon will do with that little corner of Yahoo but I’m not confident Flickr will survive another two years. At least not in a form I will want to use. So, I’m scanning for another web space that makes it easy to store and share my pictures. Anyone want to weigh in on SmugMug? Something else? Then last week comes the news that Instapaper was purchased by Pinterest. Instapaper is a “read later” service that has been a core part of my daily workflow for many years. It allows me to capture web articles from a browser or multiple mobile apps for later review, without ads and other cruft, on phone or tablet. In addition to the convenience of having a good reading list anywhere, I also use Instapaper to gather posts I might want to use for PD sessions or for posts here, with tools for annotating the text. As with Flickr, Instapaper works on a “freemium” model where paying customers are supposed to generate enough revenue to cover a far larger group using the free version and make a profit. I’ve been a paying Instapaper Premium member for many years, both for the additional features and again for the illusion (probably misguided) that this approach would produce stability and longevity. So we also watch to see what Pinterest plans to do with their new acquisition. At least Instapaper seems a little better fit with their new parent company than does Flickr in a mega telecom company like Verizon. I expect they’ll try to make it part of their efforts to compete with Google in selling ads. Anyway, I’m gradually learning my lessons when it comes to working on the web. You can’t trust free but there’s also some risk of disappearing/changing product for paying customers. Ok, Evernote, what news do you have for me? While I was away at ISTE, Evernote, the online note taking service, announced the unthinkable: they reduced the functionality of their free service. Among other alterations to the free tier, users may now access their notes on only two devices, instead of on as many as they could carry previously.1Evernote clarified the announcement later by saying a desktop browser did not count as a “device”. Speaking of the need to be cautious of free stuff, as in a recent post, here’s an excellent example of why. It’s called Delicious, and some of you old timers may remember it being one of the original web-based utilities for syncing and managing your bookmarks online. Back when bookmarks were actually a thing, in the early Google, pre-smartphone age. In 2003, Delicious was a hip startup and got some big financing from a high profile venture fund and Amazon soon after going online. Adding to the hipness, they used a very funky, hard to type, address: del.icio.us. But the site did make it very easy to take all those links that were stacked in your browser and made them available from any computer. As an added bonus, Delicious was “social”, meaning you could share the resources you found and follow the links saved by others. About two years later the company was bought by Yahoo! (back when that ! was not completely ironic), making everyone involved lots of money, and the service continued to grow and improve for the next few years. And it was still free, with every feature available to all. No “premium”, no “pro”. Things started downhill a few years later as Yahoo began losing relevance almost as fast as it’s stock price was falling and in 2011 Delicious was sold to the guys who started YouTube (they still had some of the $1.65 billion in Google money to play with). Three years later, it was sold again. And early this year, sold again. All this churn, of course, was largely caused by the fact that Delicious was free, and each successive owner couldn’t figure out how to make a profit by giving stuff away (or how to persuade users to begin paying for previously free stuff). At some point, one of them added advertising to the site, along with paid accounts that offered little more than relief from the ads. More importantly, the functionality of the site stagnated and declined. Plus the current owners, for some unknown reason, have decided to return the URL to the original mess: del.icio.us. Also somewhere in the past few years of it’s history, I finally gave up on Delicious. I was one of those original users more than ten years ago, one who stuck with the service for most of it’s life. Even though I was very aware that making a free application with no visible business model a major part of my information workflow, carries a lot of risk. Back when rumors had Yahoo planning to shut down Delicious, I moved everything to a paid service called Pinboard and posted to both for a while (made possible by IFTTT). But now it’s time to make a clean break with Delicious and review the first lesson of free: sometimes not paying can cost a great deal. Time, effort, and annoyance. Although relatively cheap, server space and bandwidth still cost something. Designers, coders, and engineers expect to be paid. And don’t think all those sales people working on that ISTE expo floor4The ISTE boat show, according to Gary Stager. are donating their time. Don’t get me wrong, I’m not all that different from most others when it comes to someone buying me lunch. And I’ve certainly collected my share of conference tchotchkes over the years. But I’ve also been around long enough to have learned that free seldom comes without a price, especially in this digital life. That point was driven home this week when Google announced the death of Reader, their RSS aggregator and a service I have relied on every day for many years. When it comes to free, whether it’s hardware, software, or services, there are basically three ways you wind up paying. One is through advertising, which is what you get with “free” search, “free” social networking sites, apps, video, and more. The payment comes in the form of clutter, distraction, and that nagging suspicion that you’re being tracked (likely you are). Or they directly connect your content to the advertising. (Ask the users of Instagram how that feels.) The saying goes that if you’re not paying for it, you’re the product, not the customer. 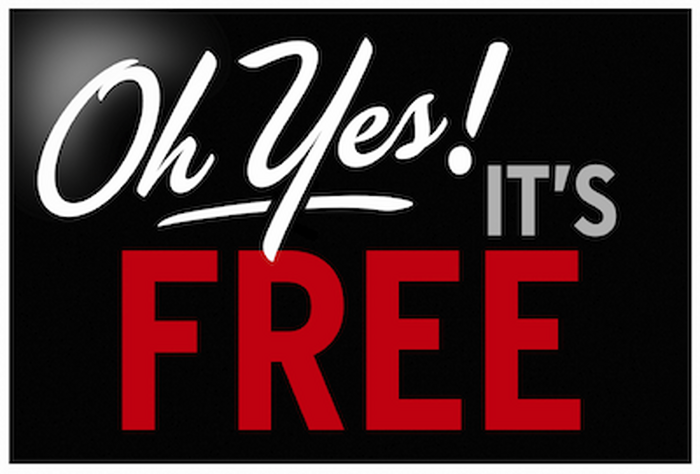 Another way free can cost you comes in the form of underpowered software and services. The description looks like what you need but you eventually discover that the no-cost version doesn’t do what you need it to do and to get the functionality you were promised, there’s either a paid version or the newly fashionable “in-app purchases” to bring it up to speed. Finally, we have the cost that Google is now extracting from many of us: the product or service disappears. If the developer isn’t making money from either you or advertisers, they don’t have a lot of incentive to continue developing and improving their creation. Or continuing to make it available at all. And worrying about the possible fate of Delicious, another service with no apparent business plan that has also become a cornerstone of my information life. Maybe I’ll be proactive and take another look at Pinboard.